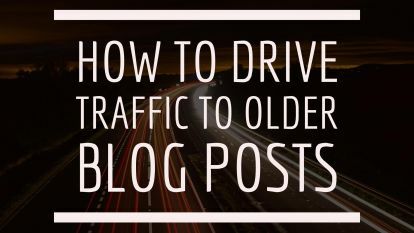 We all want better blog traffic numbers. Way back, when Tyrannosaurs roamed the earth, blogs were personal journals for reflection and maybe for close friends to enjoy. Not anymore. 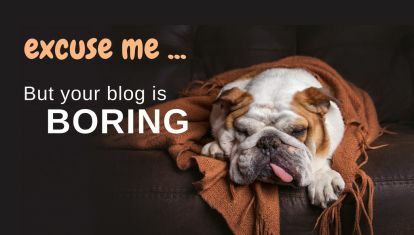 Many blogs are for building your brand, attracting business, building your list and hopefully even growing sales. But you need blog traffic. 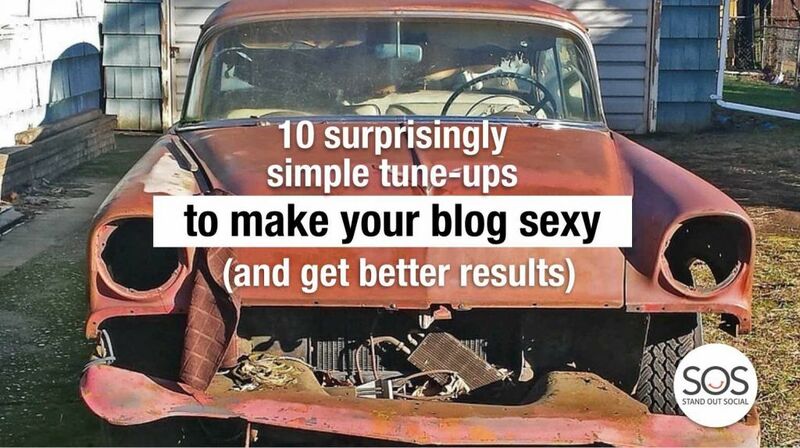 In this post we’re looking at super simple tune-ups to make your blog work better and, maybe, even a bit sexier. Sound good? Keywords are how organic searches (when someone searches the Internet for a solution, like “gardening supplies”) find you. You can use keywords in your headline, text copy and headline in the text. Stuffing keywords just for the sake of SEO is bad form and makes your post less attractive and less likely to get shared. Using the Google Adwords Keyword Planner is a great place to start to find long-tail (low competition, higher conversion) keywords. After that, include those phrases as a natural part of your writing. The last thing I work on when writing a blog is the headline. Your headline is the first thing people see in social media posts (after the image), Internet searches and links from other sites—it’s worth getting it right. 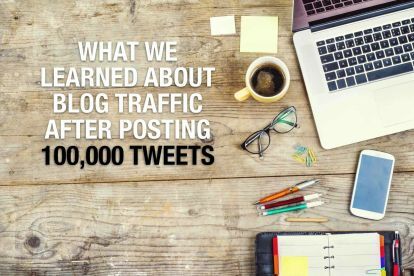 It can make a difference to your blog traffic. While a headline like, “10 ways to deliver better customer service” may be accurate, it’s as boring as ordering a cup of coffee at Starbucks. A better headline might be “10 ways to knock the socks off even the most reluctant customer”. A quick fix for any blog is better images. Try to avoid “stock images” of multi-ethnic teams smiling into the camera-instead look for natural images of real people doing real things. For posts longer than 400-500 words, insert a second image to break up the text and keep the reader moving. If you’re serious about your blog, it’s worth getting familiar with basic editing tools like canva or picmonkey. 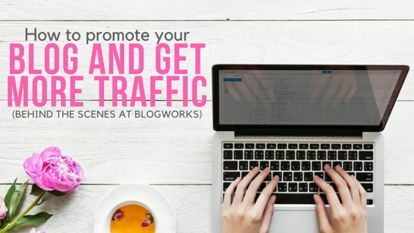 A simple strategy to encourage blog traffic and keep readers on your site longer (which is measured as lower Bounce rate in Google Analytics) is to cross link from one blog post to another. The ideas is to invite the reader to learn more about your topic by reading a related post. 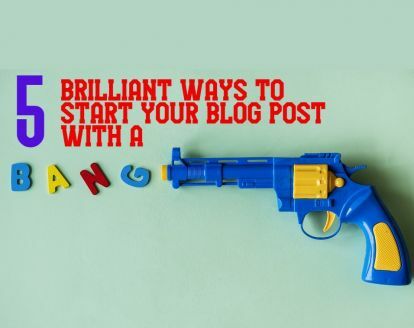 Start with a short list of 4-5 posts you ideally want every reader to see and then link to them whenever it seems like a natural opportunity. Consistent publishing dates is a good thing. Just like a magazine, it’s going to be easier to attract followers if they know they can count on the regular issues. Or course, life happens and you might have a gaps between posts. 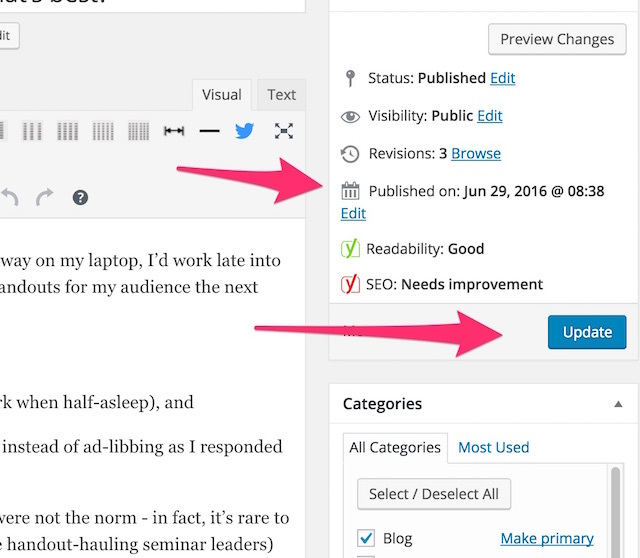 The good news is that WordPress makes it easy to smooth out your publishing dates and even republish old posts. Simply open individual posts, change the “Published on:” date and click “Update”. Presto – your posts are re-dated or older posts are re-published. inviting offer – most people aren’t interested in getting “newsletters” anymore. Try offering “weekly tools and tips”, or “free helpful advice”, or “regular updates”, or simply offer your opt-in gift and let them decide if they want to join your list. 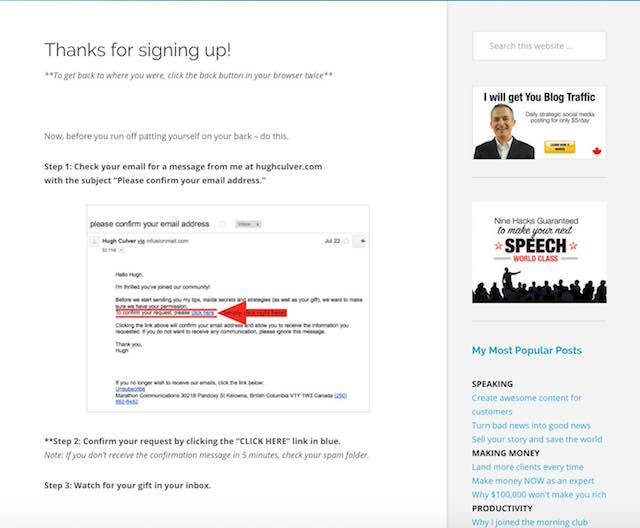 double opt-in instructions – remember the opt-in isn’t complete until they click on the confirmation email. On your “success” page (that pops up once they enter name and email) instruct them to check their inbox but also to “white list” your emails. follow-up emails – once a person becomes a follower it’s time to nurture them and invite them to stick around. An email sequence (ideally, you remove them from regular emails while in this “quarantine” period) of 3-5 emails that welcome them and introduce them to your services is a smart way to build loyalty and even move a follower to a buyer. Use the “Featured Image” for your main image. If you’ve ever noticed that the wrong image gets pulled from your blog on Facebook or Twitter it could be you aren’t using the Featured Image option in WordPress. Featured Image is a selection on the right-hand side of your WordPress editor that allows you to choose one image from your media library for the top of your post but also to be the thumbnail pulled anytime the link to your post is used (like in Facebook). The right image can lead to more blog traffic. Not sure if you are using Featured Image? Head over to your latest blog post, scroll down and on the right-hand side you should see a thumbnail of your main image that is labeled Featured Image. Click there, select the image you want from your media file and you’re set. 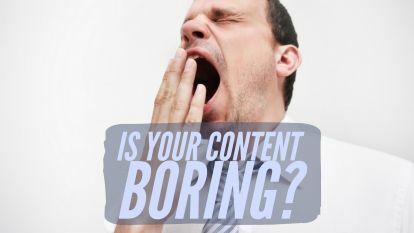 When a reader shares your post on Twitter, Facebook, or any social media, they are exposing your content to their followers. That’s a good thing. The easier you make it for readers to share your content the better—tiny icons from now-obscure social media channels, like yelp and foursquare won’t help you with blog traffic. To see what posts are getting the most shares, head over to buzzsumo, drop in your site URL and you’ll get a list of your top five. We use SumoMe by Noel Kagan – the social share menu floats alongside your blog as the reader scrolls down the screen and works perfectly on mobile. Google Analytics is your dashboard—it’s the only way to accurately know what’s really going on with your blog traffic, visitor behaviour, history trends, and sources of visitors. Your CRM (Customer Relations Management software, like Mail Chimp or Aweber) is the only place to accurately measure opt-ins. If you haven’t been checking Google Analytics, first make sure it’s installed by following these instructions. Behaviour (scroll down main menu, on left, and look for box icon > Overview – most viewed pages on site. This is where discover what blog posts are most popular. The old, manually-loaded Click To Tweet was a neat way to get readers to quickly fire off a tweet to point people to your post. A better version, cleverly called Better Click To Tweet, makes it easier for you to create the tweet as you load your new post into the WordPress editor. Once the plugin is installed, a blue bird will appear in your editor menu bar. Highlight and copy the text you want tweeted, click the bird, paste the text where asked and you’re set. As you can likely see, there is a blog post in each one of these strategies. Maybe in the future we’ll do that. In the meantime, you know what you need to do.